Carol Glennadean Onion, 92, of Biggsville, IL died at 12:20 pm, Thursday, April 11, 2019 at Oak Lane Nursing Home, Stronghurst, IL. She was born at home on December 23, 1926 in rural Maquon, IL, the daughter of Cary Rotten and Mary Durella (Kinnaman) Kinzer. She was raised and educated in the London Mills and Abingdon areas. She returned to London Mills and graduated from London Mills High School in 1942, where she participated on the track team. Carol Glennadean married Gene E. Onion in Burlington, IA on March 5, 1945 and he died January 26, 2000 in Biggsville, IL. Carol and Gene moved to Swedona in 1954 where they lived for 45 years. Carol and Gene later moved to Biggsville in 1999 to be closer to their son’s family. 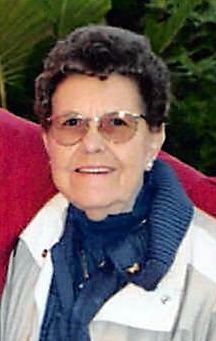 She had many happy times with her grandchildren and going to their many school programs and sporting events. She loved to travel and visit her brother in Sheridan, WY. Carol and Gene did a great deal of camping but she was not fond of water sports. She loved to listen to Monmouth’s Junior Talley as Elvis and trips to Branson, MO. Carol Glennadean worked for Blue Bell in Abingdon for a time but mostly she was a homemaker and babysitter. Survivors include her son Robert “Bob” (Susan) Onion; of Biggsville, IL; grandchildren, Vicki (Bill McMahon) Onion-Toney of Little York, Jacqulin (Tom) Sanders and Kristina (Andy) VanWinkle both of Biggsville, IL; 9 great grandchildren and 21 great great grandchildren. She was also blessed with 7 great great great grandchildren. She was preceded in death by her parents, husband, 2 infant granddaughters and 2 brothers. Funeral services will be 10:30 am, Tuesday, April 16, 2019 at the Rozetta Baptist Church, rural Little York, IL. Interment will be at the Swedona Cemetery. Visitation will be Monday evening from 5:00-7:00 pm at the Rozetta Baptist Church. Memorials may be given to the Rozetta Baptist Church or the Biggsville Fire Department. McGuire and Davies Funeral Home and Crematory, Monmouth is in charge of the arrangements.